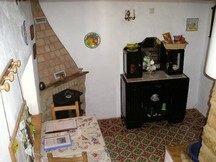 The Casa do Forno Cottage is a rustic one bedroom cottage with many original features dating back to the 19th century. It is one of 4 accommodations available at the Quintassential. It is the most private of accommodations and the one with most character. 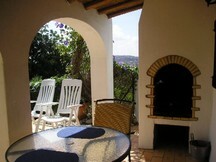 It also has its own private garden where you can relax and enjoy the views and the marvellous sunsets. 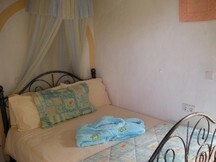 There is a double bedroom, crow's nest lounge area with CD player & MP3 reader. The ktichen diner still has the original stone sink, floor tiles and bread oven from he 19th century. The kitchenette comes fully equipped. 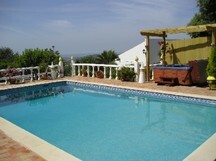 There is a beautiful terrace with brick built BBQ and use of the large heated pool area with hot tub/jacuzzi. 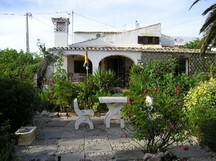 This cottage is for adult's only and a true oasis of peace & tranquility. 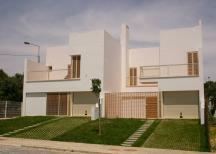 Please quote reference: a4m: 783 cottage "Casa do Forno - Quintassential"